JAMMU: An Indian Army soldier was martyred in ceasefire violation by Pakistan in Sunderbani sector of Rajouri district Thursday morning. Rifleman Yash Paul, 24, lost his life after Pakistan violated the ceasefire by resorting to heavy shelling in forward areas and posts with mortar bombs. 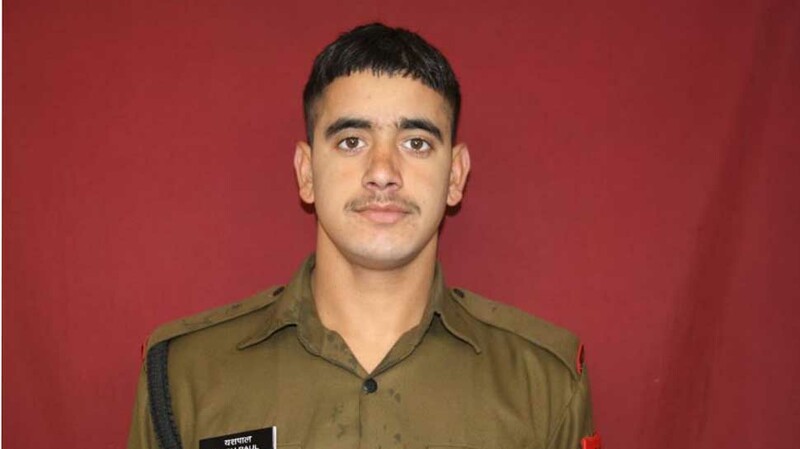 The martyred soldier was a resident of Udhampur, Jammu. Pakistan also violated ceasefire at around 2:45 pm in Nowshera sector of Rajouri district prompting Indian Army to retaliate strongly. ANI reported that firing from Pakistan side stopped at around 4:45 pm. Artillery guns were used by Pakistan Army for shelling. On Monday night, Pakistan had violated ceasefire in Akhnoor and Sunderbani sectors by resorting to shelling with mortars and firing of small arms at around 10:45 pm. The Indian Army retaliated strongly but the ceasefire violation continued till Tuesday morning. This happened just a day after an Army jawan was killed in ceasefire violation along the LoC in Sunderbani sector. Pakistani troops have violated the ceasefire over 110 times along the LoC since January. In 2018, Pakistan had violated ceasefire 2,936 times, the highest number of ceasefire violations by the Pakistani troops in the last 15 years.